The hands-on program explored the wild world of seeds as seen through young eyes and engaged over 270 students, preschool through sixth grade, from Questa Alta Vista Elementary, Rio Costilla Southwest Learning Academy, and Arroyos del Norte Elementary schools. In-class workshops were led by LEAP in collaboration with SEED. “I don’t think kids tend to see seeds as a vital part of our lives and here they got to touch them and see them up close and I think that was really helpful for them,” says Mariquita Rael, Questa Alta Vista Elementary School Teacher, about the recent program in her classroom. 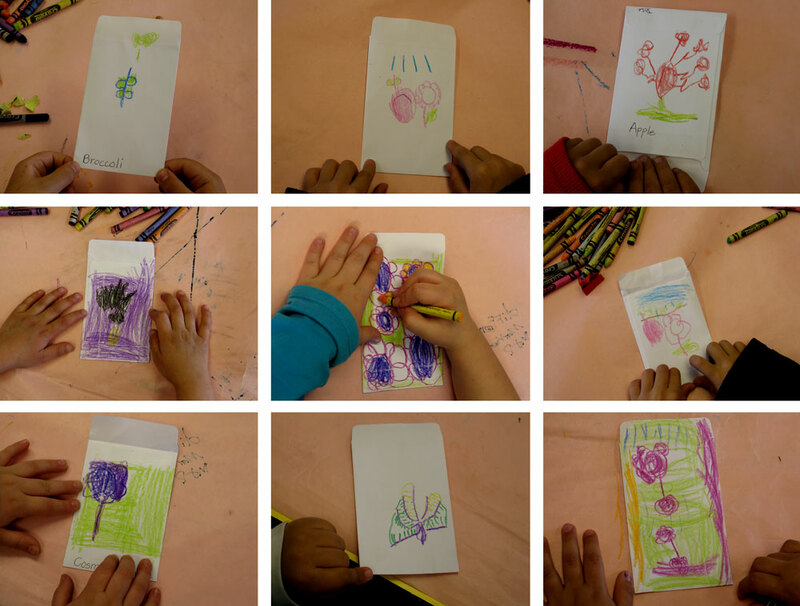 Below, fourth graders at Questa Elementary work on pages for a collaborative class book showcasing seeds and the plants that would grow from them, both real and imagined!